The National Renewable Energy Laboratory (NREL) has been busy "raising the IQ" of microgrid controllers through an innovative procurement program. 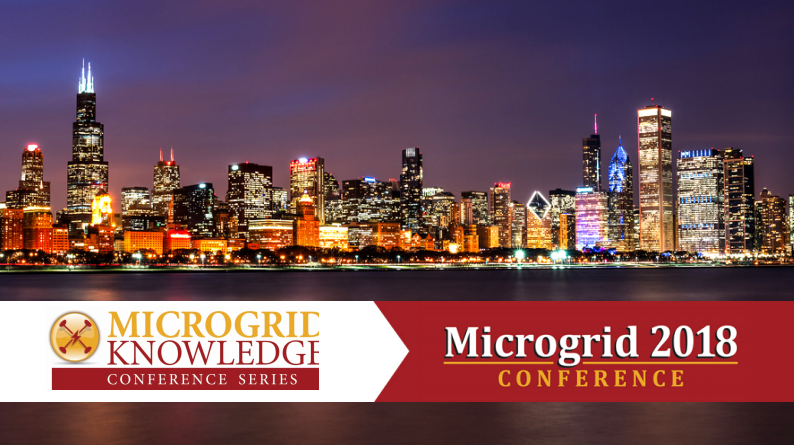 Experts from NREL explored their latest research at Microgrid 2018 in Chicago. NREL had a goal — to find a microgrid controller suitable for the Energy Systems Integration Facility (ESIF), a new megawatt-scale research facility designed to address the challenges of integrating distributed energy devices and systems and developing a modern grid architecture. A national user facility, the ESIF is available for use by the broader research community. NREL sought a microgrid control technology that would meet the needs of a research test bed where end devices and communications protocols change periodically. And the team at NREL upgraded it's microgrid research platform by test-driving multiple microgrid controllers in a hands-on competitive procurement. Key performance parameters for the research included resiliency and reliability, consumed fuels, grid connection, ancillary services, power quality, operation and maintenance costs and security operations center management. A variety of insights were derived from the research, including analysis on whether to reserve merging islands. According to NREL's recent research, when in islanded mode, tying multiple feeders into single bigger microgrid with more reserve allows more resiliency for N-1 contingencies. Now, NREL has a complete microgrid test bed (with SEL controller) available for research, as well as the highest fidelity microgrid controller evaluation available. 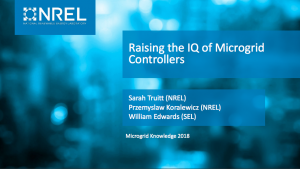 Download this new presentation from Microgrid 2018 that covers the latest research on microgrid controllers from NREL. Learned how the national lab is raising the IQ of this important technology.